Tropical cyclone is no threat to Sebastian or Vero Beach, Florida. SEBASTIAN – A tropical cyclone is expected to develop in the Atlantic Ocean Friday, but forecasters say it poses no no threat to our area. 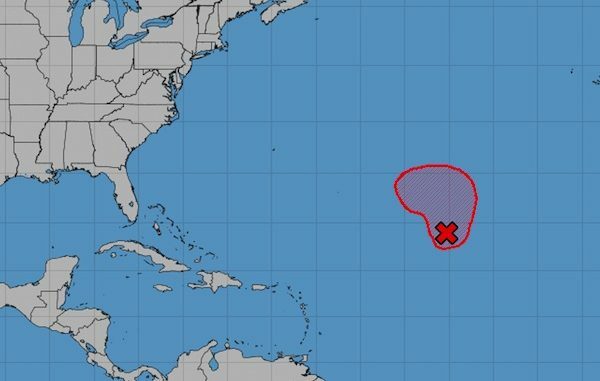 “The system will likely become a tropical or subtropical cyclone later today while it moves generally northward over the central Atlantic,” John Cangialosi, Hurricane Specialist at National Hurricane Center, said in a statement. The tropical cyclone is expected to turn toward the west and remain on the hurricane center’s radar into next week. At this time, however, the storm poses no threat to land. A cyclone is a closed-circulation rotating storm that could develop into a tropical depression or hurricane, depending on its wind-speed intensity. Most spaghetti models track the storm moving north, far away from Florida.